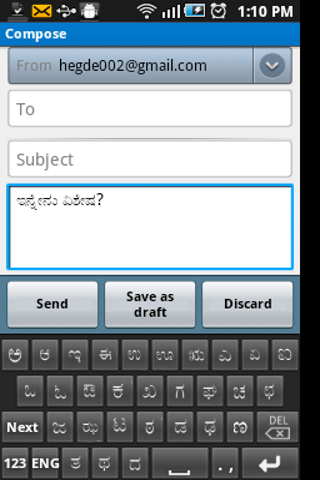 Many of you might be wondering how to type kannada in your android phone. I have developed and published an app in android market which is kannda Input Method Editor. Here is the link. You install the apk and then you enable the keyboard. 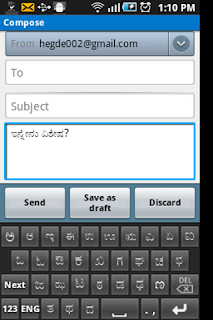 During typing, make sure you select kannada input method. In fact my app supports Devanagari font also. So those of you who want to type in Hindi/marathi can use the app. Please leave your comments and help me in improving it.